Improved interior shape, which the animals prefer; more readily acceptable. Due to its insensitivity to weather, the durability is far longer than wood. 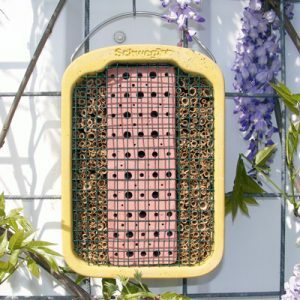 Very favourable microclimate thanks to the tried and tested and durable SCHWEGLER wood-concrete material. Wood-concrete does not warp with time, so that the microclimate in the box is not disrupted by draughts. Also, bright light cannot enter the inside of the box. Very suitable for independent settlement and for relocation campaigns. Very suitable for independent settlement and for relocation campaigns. 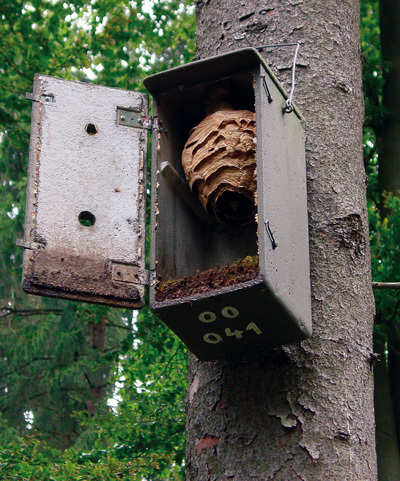 Siting: The Hornet Box can be installed at the edge of forest clearings, forest edges, in windfall areas, clear-cut areas, park landscapes, etc., especially attached to deciduous trees. Where possible, the hanging site should not be particularly conspicuous, to avoid provoking possible disruptions. 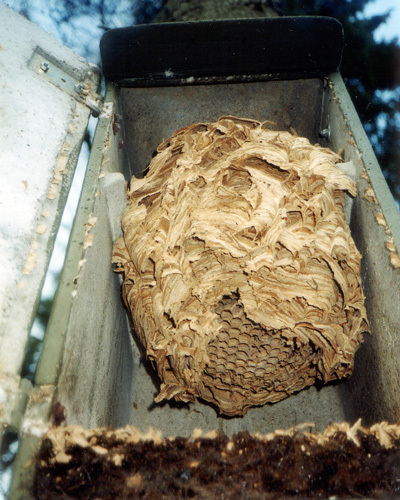 The direct air space, entry and exit area at the level of the Hornet Box must be free from branches. 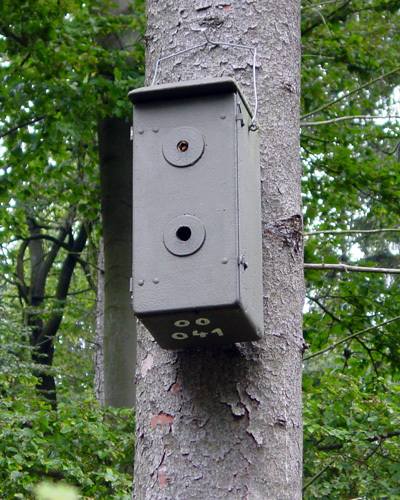 If several Nest Boxes are installed, the distance between them must be at least 100 metres, as otherwise proper territorial fights take place between the different Hornet colonies. Height above ground: At least 4 m.
Cleaning: From April of the following year. 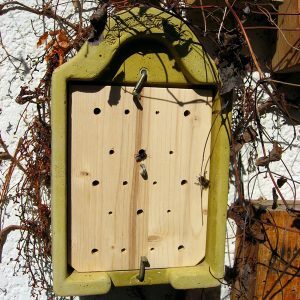 Leave the old nest undisturbed throughout the winter, as “useful animals” such as Lacewings, Hornet Beetles, etc. like to spend the winter in it. Occupancy: From May until late summer. 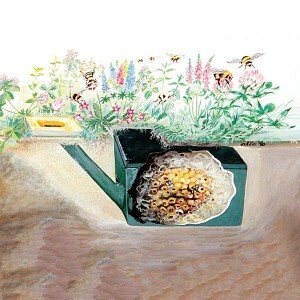 Precise documents on use are supplied with the Hornet Box. 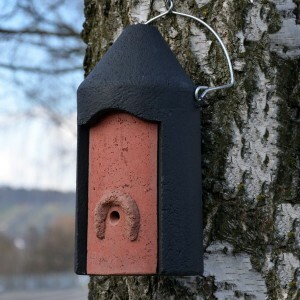 Material: SCHWEGLER wood-­concrete. Hanger: steel, galvanised. 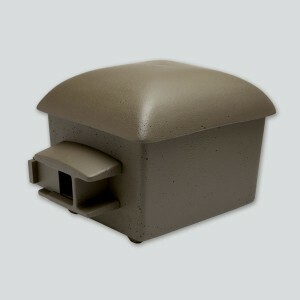 External dimensions: W 28 x H 60 x D 25 cm.